Mar. 20 (NBD) – China's marriage rate in 2018 is 7.2 per-mille, marking a continuous decline in five years, data from National Bureau of Statistics and Ministry of Civil Affairs show. It is noted that marriage rates in different regions are correlated with economic development. By the end of 2018, marriage rates of Shanghai and Zhejiang Province, both located in the more developed Yangtze River Delta region, took the last two positions in the nation's ranking. Other cities and provinces bordering the coastline including Tianjin, Guangdong Province and Beijing also recorded low marriage rate. In contrast, regions including Tibet Autonomous Region, Qinghai, Anhui and Guizhou have higher marriage rates but are less developed. The low marriage rate is parallel to China's declining birth rate, but there are more reasons. For dwellers in economically developed areas, the fast pace of life and fierce competition negatively affect their intention to get married and raise children. "Overtime and business trips are routine in the auditing profession. I don't have time for dating," said Yu Xian, an auditor based in Beijing. Yu's words represent the dilemma facing many young people living in big cities, but even if they have a stable relationship, marriage is still a long way ahead. Xu Shan, a white-collar worker in Shanghai, said the transition from being single to starting a family is not easy, "the cost of living is rising, and getting married means you have to consider the cost of raising a child." Another reason for the declining number of marriages is the later age of first marriages. Big data from Jiangsu show that the average marriage age in the province increases by about 1 year for the last five years. Wang Jie, a PhD candidate in Beijing, said his fellow students, aged 27 or 28, have no plan to get married before graduation, except for two who returned to campus after a period of working. As higher education becomes more common in China, and the number of people pursuing a master's degree or PhD keeps increasing, marriage is naturally postponed. The high house price in economically leading areas contributed to the postponing marriage as well. "It's hard to get the approval of future parent-in-laws without owning a home. Considering the house price in Beijing, I'm afraid I cannot afford one before 35," said Yu. 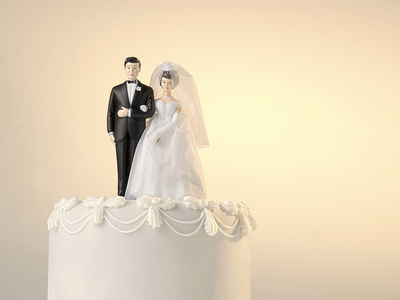 People's attitude towards marriage is changing, too. More people, especially women, has no intention to get married at all. Six women out of 100 aged at 30 to 34 chose not to get married in 2015, and the proportion was ten times higher than that of 1990, said professor Yuan Xin of Nankai University.